You have a landing page focused on generating leads for your business. You have defined its objectives and set targets to be achieved. What happens when you discover that your landing page is not performing as per expectations? Your first instinct is to find out what's wrong and try to fix it. But how do you figure out what's working and what's not? You might be thinking that your headline isn't catchy enough but the real problem might lie somewhere else! Landing pages are web pages that allow marketers to capture information about visitors and help create a simple pathway of conversion; from a visitor to a lead or a customer. Creating a landing page is the easiest way to target your audience, offer them something valuable, and convert a higher percentage into leads. We already spoke about some conversion tips for mobile landing pages. Now, to make your life simpler, here's a list of 5 key criteria that you must test to make sure that your landing page does well and delivers outstanding results. Defining a value proposition is like personifying your offer. Your product is no longer a set of tools, it exists to serve a purpose for your potential customer. Your landing page must convey this unique purpose of your product/service to your potential buyer in clear and simple words. Evernote defines its unique offering with "Remember Everything" instead of describing the product as a note-taking and archiving software. The headline of your landing page is the key to getting visitor's attention. 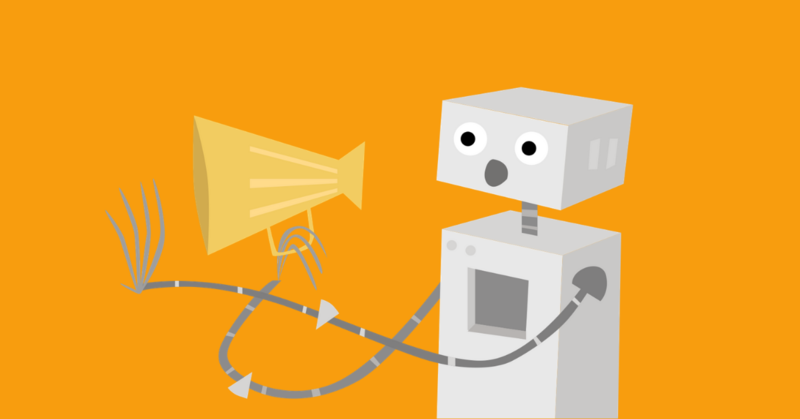 A bold, catchy and relevant headline will keep your visitors hooked to the landing page. In addition to keeping it short and simple, you should focus on the primary benefit and say it clearly. More often than not, your online visitors are looking for a solution to their specific problem. Hence, the better your headline addresses their problem, the more likely they are going to stick around on your landing page. Here's how Movexa increased sales by 89.97% by making their landing page headline more specific. Do you often ask yourself whether your landing page is too long or not long enough? Well, there exists no universally applicable answer to your question. According to a study conducted at Brown University there are two kinds of consumers: one who are driven towards buying a product when they know more about it and others who are less willing to buy when confronted with additional details. Typically, for a complex product, your potential customers would require detailed information about the product before they make the final decision. Here's an example of how a company generated 63% more conversions by using a long form landing page for their PPC campaign. 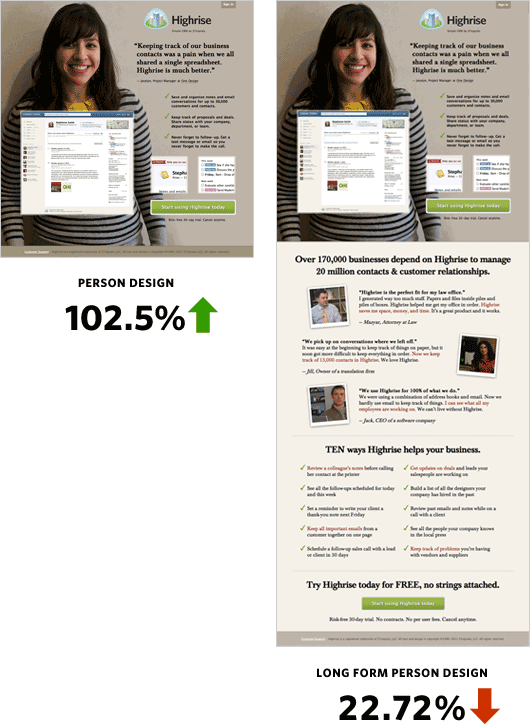 In this other example, however, using a short form landing page resulted in 103% boost in conversions for Highrise. To clear the dilemma, try testing segments of your audience for different forms of landing pages. For example, social media referrals to your website are more likely to respond well to a short and catchy landing page than a long one. In case you have behavioral data for your existing audience, you can also design shorter landing pages for visitors who spend less time on your site. According to a study by Google on consumers, Zero Moment of Truth (ZMOT), 70% of Americans admit that they look at product reviews before making a purchase. Well, doesn't that seem logical? How else would you assure yourself of the product quality if you are making a purchase online? This process of instilling trust among buyers is what we call social proof. If your customers are happy with your products and services, why not let them become your brand ambassadors? 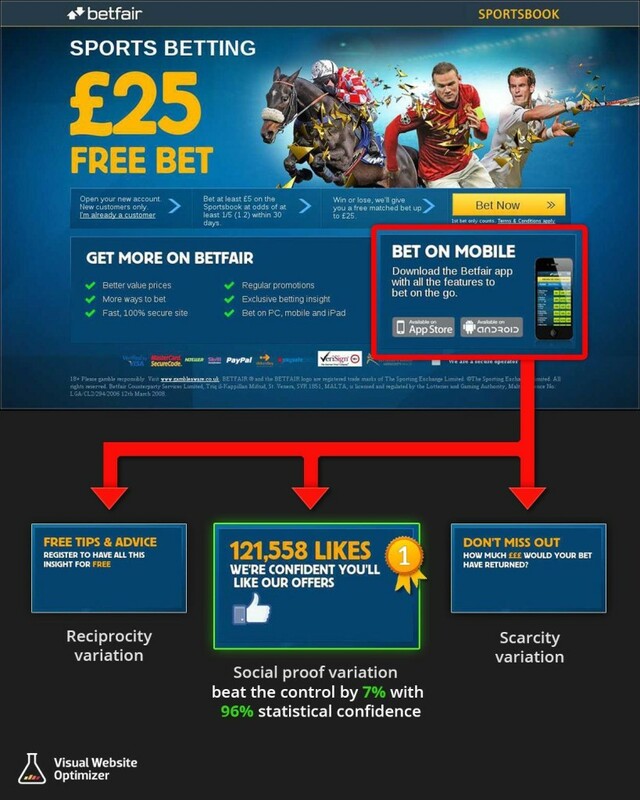 See how Betfair saw a 7% uplift in CTR by adding social proof to their landing page. Though social proof adds immense credibility to your landing page, it still carries the risk of overshadowing your key offer. 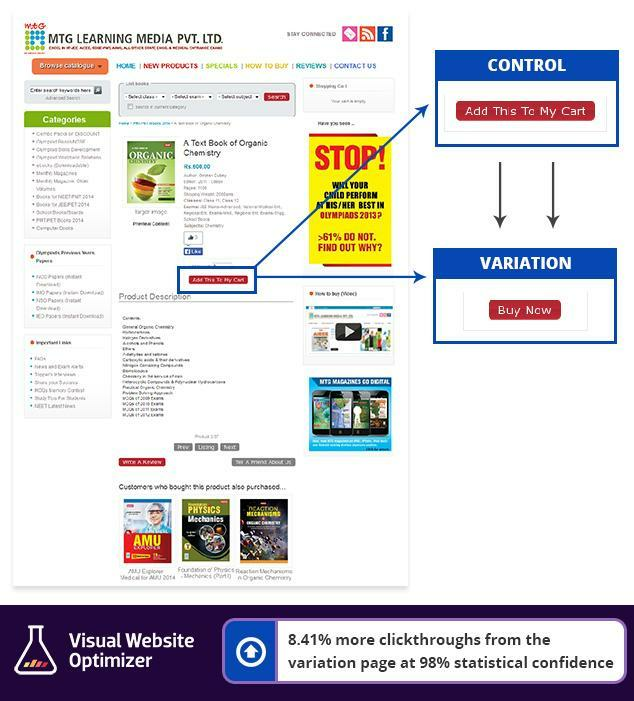 WorkZone ran an A/B test for customer testimonials using Visual Website Optimizer. 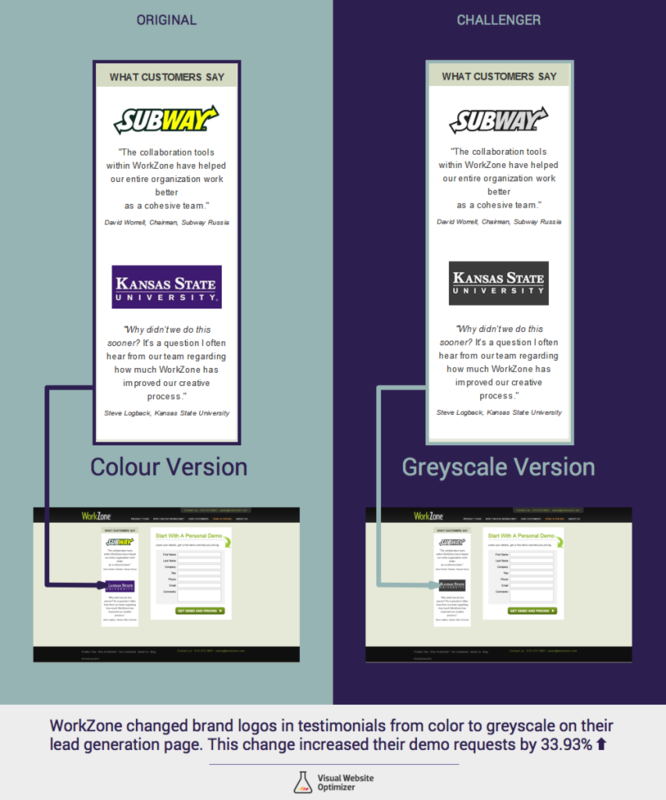 They found that changing brand testimonials from color to grey scale increased their form fills by 33.93%. You can use eye-tracking studies to ensure that your social proof acts as a support to the main offer and is not obstructing the visual hierarchy of your page. Read this post to learn more about how you can use social proof effectively for your landing page. 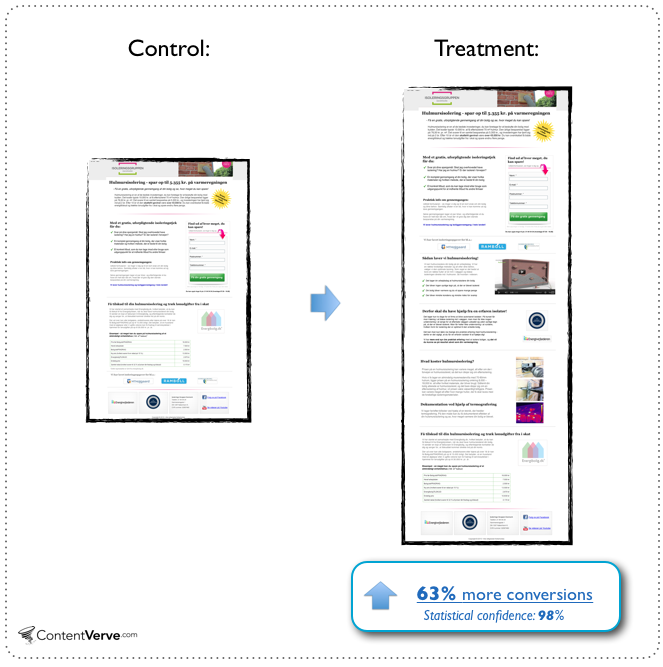 Placement, copy and design, all elements of your CTA have a significant impact on conversions. Whatever be the landing page, your ultimate objective is to get the visitor engaged with your offer by clicking on the CTA. Hence, you must always focus on optimizing your CTA to the greatest possible extent. 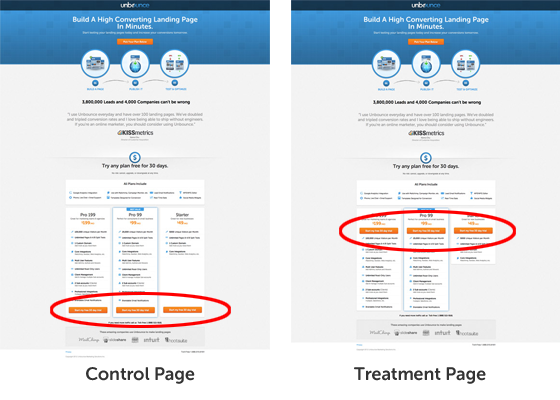 Here's how Unbounce improved its pricing page's conversion rate by 41% with an above the fold placement of CTA. However, above the fold is not necessarily the best position for your CTA. 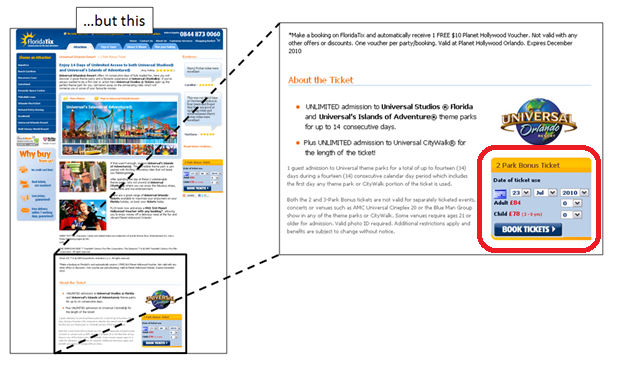 Your CTA should be placed at a position where it best compliments the visitor's decision making process. If your landing page is depicting a story that leads to the final offer, following the AIDA (Attention, Interest, Desire, Action) approach makes much more sense. The colour and size of your CTA acts as a visual cue for your visitors and helps them focus on taking the desired action. It answers the question "Where should I click?" There are no set rules for designing the perfect CTA. But, you should focus on letting the CTA stand-out from the rest of the page. 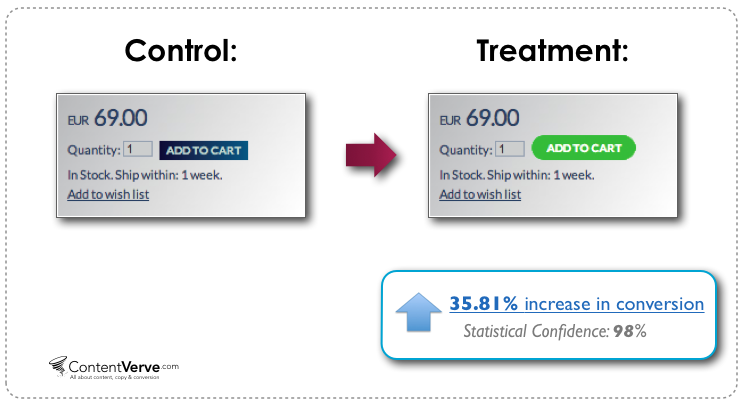 Here's how a European e-commerce website experienced a 35.81% increase in sales via product pages by changing design of the call-to-action. The navigation menu on your landing page will more often than not distract visitors from your primary offer. Having a single CTA on the landing page tells your audience what you want them to do on the landing page. Hence, you should only include navigation menu on the landing page if it is essential and is useful in giving additional information related to your offer. This will help you avoid clutter and keep the landing page focused and extremely relevant. 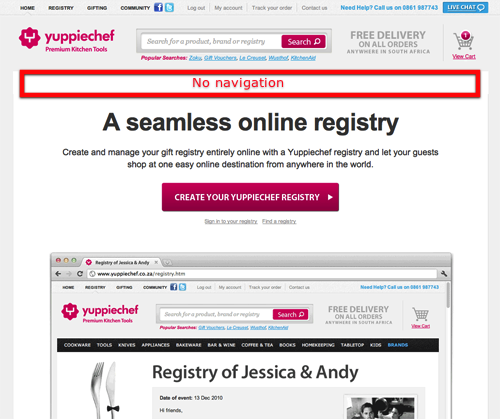 Yuppiechef, a leading online store selling premium kitchen tools saw a 100% increase in conversions by removing navigation menu from their landing page. We hope you have enough tips to start testing your landing pages. As we all know, landing pages are the best way to show our visitors the way to conversion, increasing Click through rates. Now that you know what to test on your landing page, go ahead and get started with testing your landing pages. 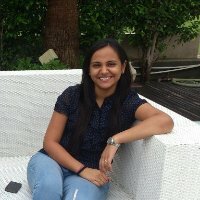 This is a guest post written by Smriti Chopra, marketer at Visual Website Optimizer, an A/B testing tool that will help your business to improve its conversions. As with articles on most other digital marketing channels, a great many SEO guides, checklists and how-tos include a line, paragraph or section about testing. Make sure you test any changes you make to your website. Constantly test various optimizations to find the ones with the biggest impacts. 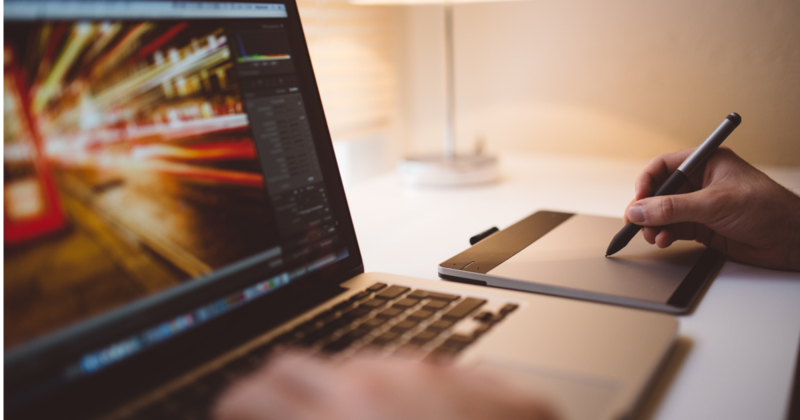 Whatever you’re doing, testing is an integral part of digital marketing. But what exactly does it mean to "test" something for SEO? Fortunately for other marketers, paid marketing is pretty straightforward to test: Split test an ad, landing page or offer and draw a direct line between change and ROI improvements. 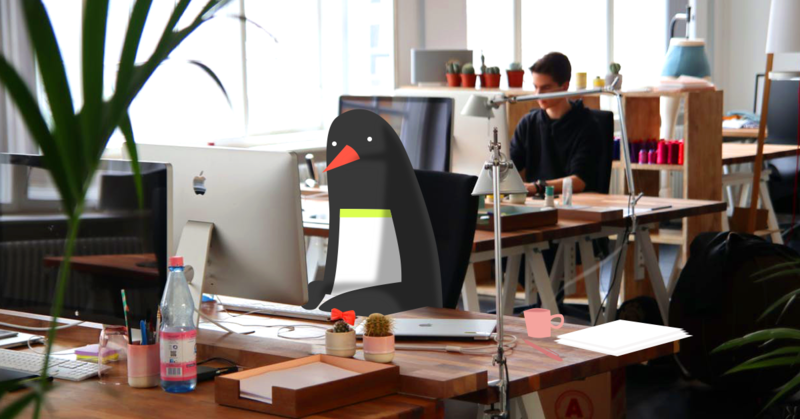 Unfortunately for SEOs looking to increase search rankings, search engines operate as black boxes, and rank sites relative to each other and the search term. Your ranking may have gone up, but was it because of your new title tag, or did your competitor get caught paying for links and penalized? Lucky for you, if you follow this four point guide to SEO tests, you’ll be able to isolate variables, measure the effectiveness of changes and optimize for increased search rankings. It’s important to start off any SEO test by picking the right test subjects. First of all, you don’t want to go around messing with your most important pages: your homepage and pages that already rank well for highly competitive keywords that get lots of volume. If you end up making a change that isn’t exactly an improvement, it could be difficult for you to recover your lost rankings. Start by going back to your SEO strategy and keyword research to make sure your keywords are targeting the same types of user with the same, or very similar, search intent. Your best keywords to use in tests generally rank in the top 20 or 30 search results. Anything lower than 30 tends to be too volatile to get a good data set. You could jump several rankings one day, only to lose them the next. This will result in very noisy data. You should also avoid testing with pages that rank in the top seven or eight results for their keywords. The reason being that it can be very difficult to cause any movement in the top five results by changing just one thing at a time. Most of the top results have also acquired a lot of links, which you can’t control, that could outweigh any on page optimizations you make. Ranking stability isn’t the only selection criteria when it comes to test subjects. You also need to take stock of the test environment: The SERP. Check your Google Search Console Search Analytics and find a keyword that has a stable search ranking over time. Avoid using keywords with landing pages with rankings that varies widely, or has unpredictable search volume. Sadly, Google recently throttled search volume data in its Keyword Planner tool. But there’s good news: You can still find search volumes in the WooRank SERP Checker tool, on top of tracking your keywords over time. If you don’t have a WooRank account, you can carry out the process manually: Using Ad Preview and Diagnosis set your target location, language and Google domain, then do an actual search using your target keyword and make a note of the first page results. This prevents your location or search history from affecting the results. This tool often only provides the first 50 results, so another free tool is isearchfrom. Do this for a couple of days, or weeks if you’re really thorough, and keep track of pages displayed in the results. SERPs with a lot of volatility generally mean there’s outside forces at work you can’t control or isolate. While you’re doing this, check for any featured snippets. The presence of a Google Answer Box in SERPs will throw off your results. Google Search Console’s Search Analytics report also allows you to track keyword positions for up to the last 90 days (or compare based on the last 7 or 28 days compared to the previous period). Use the filters to include only your keyword, then tick the Position checkbox to see how the position changed over time. You can also filter to only include queries from a specific country or device and rankings for a particular page. Conduct a quick link audit of your candidates and choose pages that have similar link profiles in terms of both quantity and quality. Ideally, all of your subjects for each test will have similar content, rankings, traffic and link profiles. Why go through all this work just to find pages you’re going to tinker around with? It’s because you can’t run a true split test for SEO. In a real split test, you could create an exact copy of your landing page, change one thing and then let it run. But you can’t do that because the second page may not even get indexed due to duplicate content, much less outrank the original. Plus, trying to create an exact duplicate link profile is most likely going to blow up in your face and neither page will rank (and maybe incur a manual penalty from Google to boot). Once you’ve come up with a list of test subjects, it’s time to establish which ones will be the control and which will be for experimenting. There’s no set number of pages used in each group, but just remember that the more subjects you have, the more reliable your analysis will be. Start by randomizing your subject pages. This is very important because, as we mentioned above, none of your pages are exactly the same. Therefore, when you assign subjects to test groups, your implicit bias could wind up skewing the groups. You could accidentally wind up with your favorite type of content, like videos, overrepresented when testing a particular tactic or optimization. The best way to randomize your test subjects is to assign each one a number or letter, and then use a randomizer to assign each page to a variable group. Start by measuring page ranking for the page’s neutral state for 10 days and average position each day. In this example it would probably be for pages that have keywords in the <H1> tags (because that has long been established as best practice. Remember, this is just a simplified example). The 10-day window is important: you need to give changes time to take effect, and you need a neutral baseline to compare test results against. Make your change - in this case, take the keyword out of the header tag. Wait for the new version of your page to show up in Google’s cache. To do this, do a Google search for your page, click the little green down arrow next to the URL and click Cache (or use the Google search operator cache:website.com/page). It’s important you wait for the new page to get cached since this shows that Google has crawled the updated page and can therefore determine its ranking. Once the new version appears in the cache, let it run for ten days and record the average position. Add the keyword back to the <H1> tag content. Again, wait for the updated page to get cached and then let it run for 10 days and record the average position. Take the keyword back out of the <H1> tag, wait for the cache to upgrade and let it run for another 10 days, recording the daily average position in Google Search Console. The 10 day waiting period here is important to gather a viable sample size to determine if using a keyword in the header tag improves ranking. You take out and add back in the keyword multiple times to control for any outside variables that might have affected search ranking like a sudden influx of links or a competitor falling behind you. The math step is where you find out if your test resulted in significant changes. Use a t test calculator to calculate whether or not the difference between your two data sets is significant. Enter the data for the control group (keyword in the header tag) in one column and the data for the variable group (no keyword in the header tag) in the other column and click ‘Calculate now’. What you want to look at in the results is the "confidence interval difference." If the two numbers are close together, there’s not much of a significant difference. If they’re far apart the change is likely not due to random fluctuations. If the numbers are negative, that means the change resulted in lower search rankings. So, in this case, that would mean taking the keyword out of the header tag is bad for SEO. You can do these calculations yourself but I got into content marketing to avoid doing complex mathematics. Scientific testing is all about being able to reproduce your results. SEO isn’t really a science, but we try our best. To confirm your conclusions from the first test, run the same test using a second group of pages you created back in step two. Ideally, randomizing your groups eliminated, or at least reduce the impact of, any other variables, but it never hurts to be sure. Testing your conclusion across multiple groups will verify it applies to pages with different content types, link profiles and keyword types. You can also use this step to test the impact of different magnitudes of changes. If adding the keyword once to your header tag improves ranking, will adding it twice help even more? It probably won’t, because that would be spammy, but you could test that using one of your test groups. Now when you’re reading all these SEO articles and you come across checklists telling you to test and retest your optimizations you know exactly what they mean. This testing process is long, and can take a lot of work for a team of one, but it will deliver data you can use to optimize your site to appear higher in search results. Not sure where to start when it comes to what to test? No problem. Use your WooRank SEO audit criteria as a starting point.